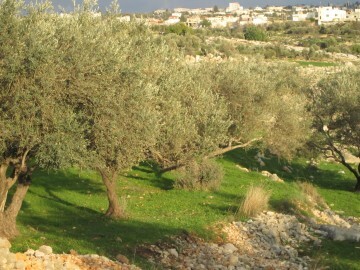 The olive tree and its long history of rootedness in the region is a primary symbol of sumud for Palestinians. “Getting back to my crossing of the Erez border into Israel, I would see many signs of a past that can seemingly never be recaptured. Old stone huts and storage barns from Palestinian farms stand abandoned in the fields in nearby southern Israel like markers of a bygone era; gaping holes where windows used to be jammed with encroaching weeds, the hearths inside empty, cold. These are the inanimate reminders of the old Palestine, the living ones spring from the ground in the form of the sabra plant. It’s cactus like succulent that has been used for thousands of years as a hedge to mark the borders of Palestinian farmlands. 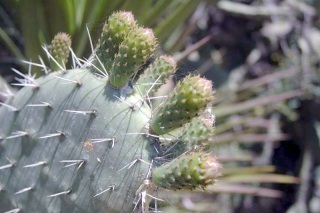 The prickly exterior hide’s sweet fruit, the rubbery leaves are beautiful in their way, each one unique, with protrusions like stubby toes. For sixty years the land has been bulldozed, reassigned and developed as if to scrub out any vestige of the Palestinians who lived, worked and thrived here. “But the enduring sabra plant remains like an invincible sentry, silently sending the message ‘We were here, and there, and down by the river and over near those woods and across that field. This land is where we were.